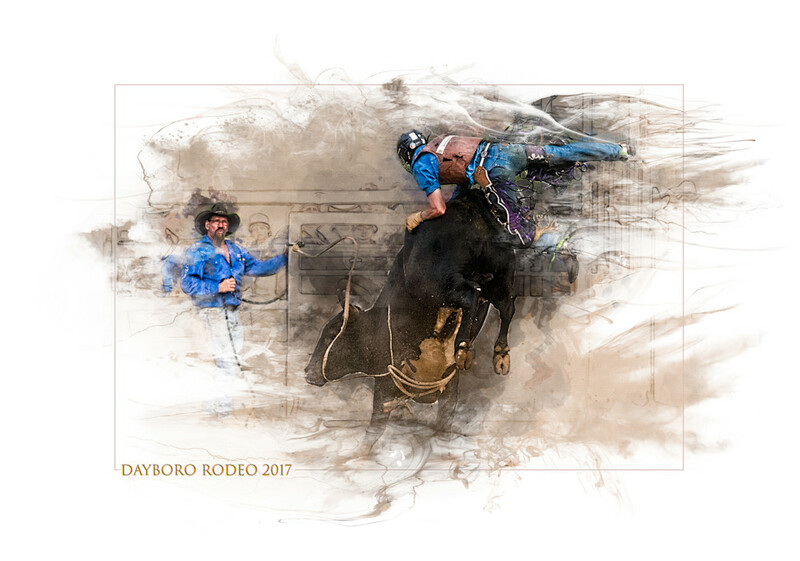 A dated, textured composite scene from one of the more spectacular 2017 bull riding events, at Dayboro Rodeo. This composition was inspired by the bull rider's position, that of the saddle and the almost nonchalant pose of the gatekeeper. I wanted to create an illustrative style of image on a white background and used a mask with a number of elements and textures exploding in the wind to represent the energy of the scene. Finally, I used a faint narrow border to contain the eye of the beholder to the central part of the scene.